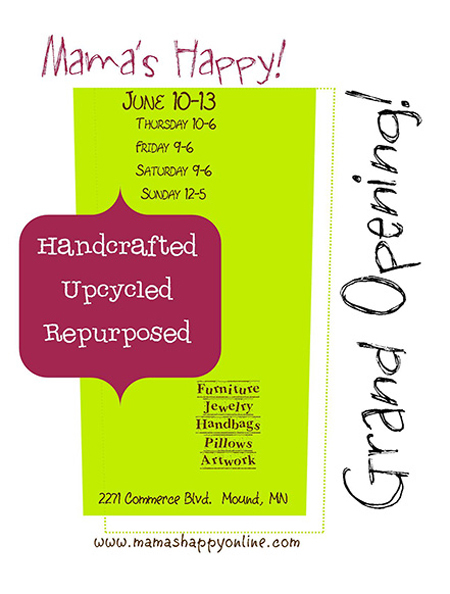 I’m really excited to have 3 of my fine art photos for sale at Mama’s Happy in Mound, Minnesota. Come out for the grand opening and see all of the unique items. Click on the image below to visit their website and get directions to the store. Here are two of the photos I will be selling. The third photo you may recognize as my winning image from the Bluefin Bay calendar contest. Click here to see that image and read my blog post about it. This entry was posted on Saturday, June 5th, 2010 at 10:38 am	and is filed under Nature. You can follow any responses to this entry through the RSS 2.0 feed. Responses are currently closed, but you can trackback from your own site.